As parents we tend to be judged and measured by our children's failures and successes. We compare ourselves to other parents and our children to other children to no avail. Forgetting that kids are born naturally self-centered, and we reinforce that by adopting and catering to their every need. Yet by the time we've gotten accustomed to answering our child's every call, we have to undo it all to help our child thrive according to rules and expectations. My two year old daughter tests me with many challenging situations, and what worked for my older daughter [who is now 17], does not work for the younger. Sometimes I feel embarrassed or even guilty, and other times angry or sometimes amused. As a mother of two I now understand that there is no one-size-fits-all approach to get your kids to behave while keeping your sanity. However, that any parent can use to get your kids to behave while keeping your sanity. 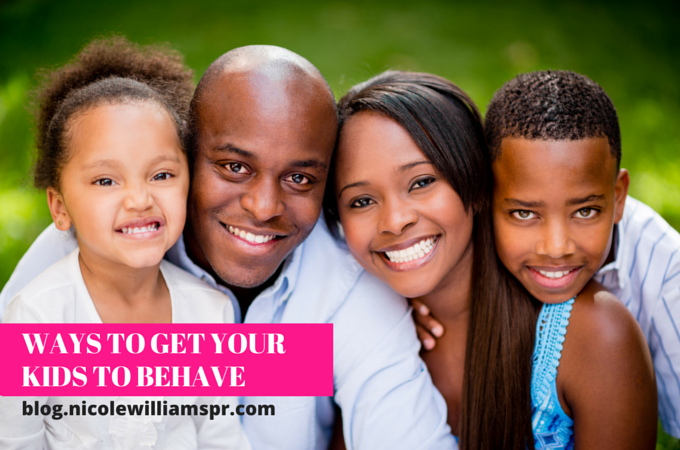 How do you get your kids to behave while keeping your sanity?